This recipe has traveled around the world through many hands. Pumpkin curries are popular in much of Asia, and can be found with a variety of ingredients and flavors. The dark green skinned kabocha squash is the most common "pumpkin" used in these recipes, but butternut squash works quite well. The small ones are especially well suited for serving single portions stuffed inside the squash. The particular recipe and method listed below came from a Swiss friend named Jerome Gauthey who has spent a year or so working at an orphanage for refugee children in Thailand. And it was his friend and co-worker from Burma who shared the meal with the staff and children whenever there were occasions for celebration. It's a simple recipe that makes use of fresh winter squash, onion, loads of garlic, and a common Thai seasoning blend called Ros Dee. It's hard to know exactly what is in the seasoning packet, but it's essentially pork bouillon, salt, garlic powder, and various umami flavor enhancers. Ros Dee may be available at your local Asian market, but a good substitute could be homemade pork or chicken broth and plenty of salt. And don't be afraid to assemble your own flavors. Many pumpkin curry recipes also use turmeric, ginger, kafir lime leaves and coconut milk for a sweeter taste. Mince the small onion and about 6-8 Thai chilies. Combine in a bowl with some salt and mash with a mortar & pestle to release their oils and combine the flavors. Set aside. Cut the neck end of the squash away from the bulbous end, then carefully peel the squash and remove the seeds. The seeded bulb end will be used as bowls for the curry, and can be decorated by cutting slits or designs into them with a sharp knife. Place the squash "bowls" on a parchment-lined baking dish and set aside. Chop the remaining stem-ends of the squash into bite sized chunks, cut the chicken thighs into bite sized pieces, slice the large yellow onion into wedges, and mince the garlic. Trim the lemongrass, using the white root ends for the curry. Cut into 3-4 inch pieces. In a heavy bottomed stock pot, cook the chicken on medium-high heat with a little oil until it is almost cooked through. Add the onion and garlic and continue to cook while stirring until the onions are tender. Stir in the squash chunks, Ros Dee Seasoning and 1 cup of water (or broth) and lemongrass. Cover and simmer until the squash is tender, but not mushy. Season to taste with salt and more Ros Dee, garlic or chopped chilies. Scoop the chicken and squash mixture into the squash "bowls" and return to the baking sheet. Bake at 375 degrees for about 20-30 minutes, or until the squash bowls are fork tender. Serve with steamed jasmine rice and onion and chili garnish. 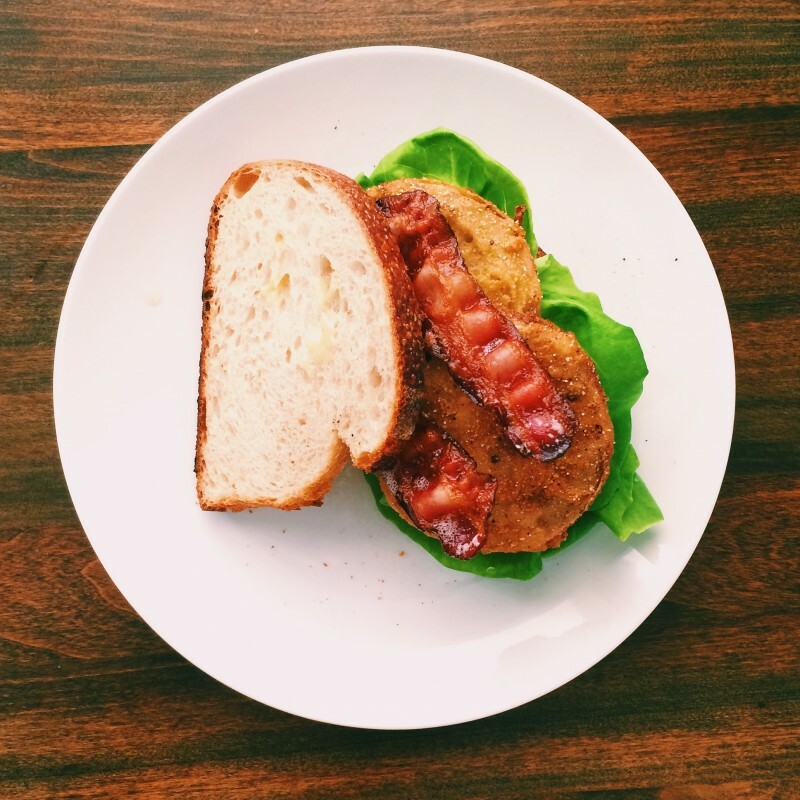 For the last recipe of the 2013 CSA season, we wanted to offer something special. With a chill in the air, many people are thinking about warm comfort foods or recipes worth gracing a holiday table. Souffle's have a light and airy texture, but rich and comforting flavor. And let's be honest, there's no better way to impress your mother-in-law than to serve her a souffle for a holiday brunch. In search of a compliment to the sharp tasting greens, I wandered down to Main Street Meats where they were more than happy to help me find the perfect cut of meat. (Shopping at a real butcher shop, by the way, is absolutely nothing like shopping for meat at a grocery store). After some deliberation, I settled on a delicious portion of cold-smoked Tasso. When sliced thinly and seared in a pan, it reminds me of a really nice Canadian bacon or English bacon, but with a bonus kick of spices and seasonings around the edge. Sweet peppers and shallots rounded off the flavor for this delightfully rich breakfast or lunch combination. Grease four 4-inch ramekins. Preheat oven to 375 degrees. Remove the stems from the turnip greens. Wash the greens and chop. Slice the shallots into 1/4 inch slices. Heat a skillet and saute the greens and shallots with a little oil until they wilt. Add some salt and pepper and continue to cook until they just begin to caramelize and the aroma blooms. Remove from heat and place the sauteed greens and shallots in a blender with the garlic, cream, vinegar, salt to taste, and a generous amount of freshly ground black pepper. Puree the mixture on medium-low speed. Taste and adjust seasonings as desired. Place the pureed mixture in a medium mixing bowl. Add the egg yolks, grated cheese and breadcrumbs and stir to combine. In a separate bowl, using an electric hand mixer, whisk the egg whites until soft peaks form. Gently fold the egg whites into the pureed mixture. Fill the prepared ramekins and bake for about 30 minutes. While the souffle's are baking, sear the thinly sliced tasso until it is cooked through and begins to brown a little. Remove from the pan and saute the sliced peppers and shallots, adding a little oil to the pan if necessary. 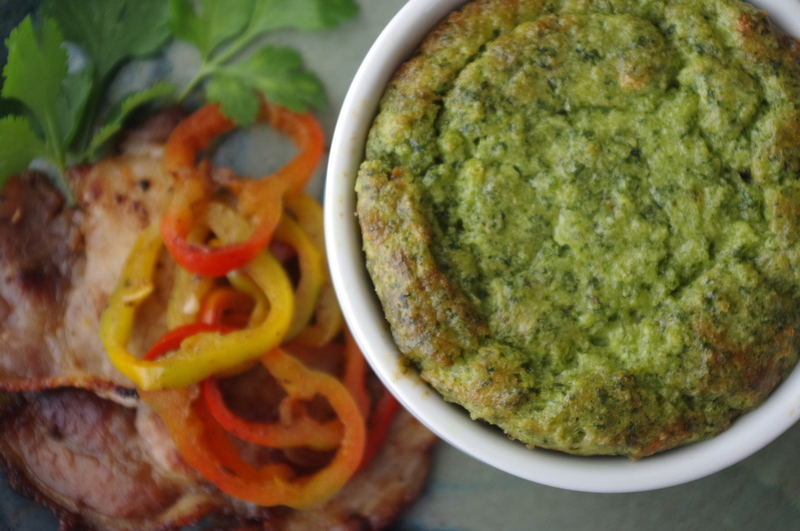 Serve the warm souffle with the tasso and sauteed vegetables on top, or on the side. The quality of your cooked chicken, as well as the stock or broth, can make all of the difference to the flavor of this soup. Starting with a good quality bird (like Hoe Hop Valley Farm's fresh whole hens) will produce the best flavorful meat, and the best tasting stock. You can substitute store bought broth and cooked boneless portions if you are short on time, but taking the time to make your own stock will produce the richest flavors. Also, most chowders and potato soups are prepared with cream and cheese. 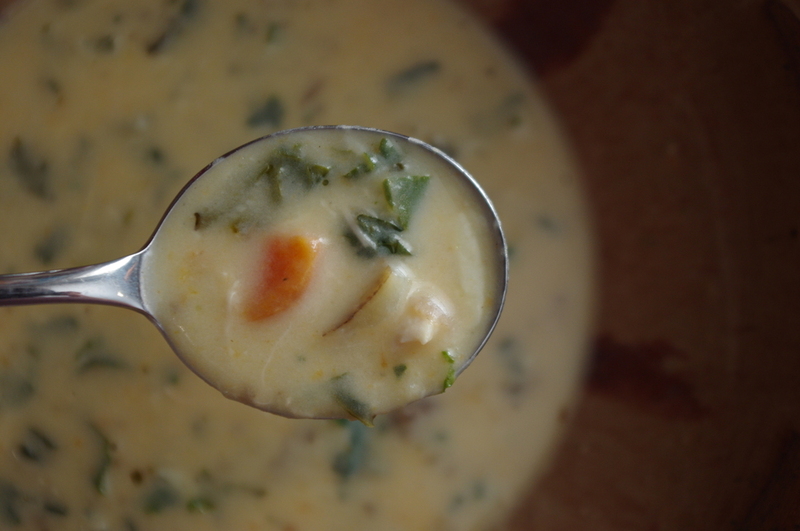 In this version, the good quality chicken stock and assorted vegetables create a chowder that is rich and flavorful enough to go without the extra fat and calories in the cream and cheese. However, if desired, a little garnish at the end is decadently rich, but not overpowering. Dice the potatoes into 1/2 inch pieces. If they release a lot of starch when chopped, rinse under cold water before using in the soup. In a large stock pot, saute carrots, onions, fennel, peppers and celery with a little oil. When the vegetables begin to sweat, add a teaspoon or so of kosher salt, herbs de Provence, potatoes and stock. Bring to a boil, then reduce heat and let simmer until the potatoes and vegetables are soft. Remove the soup from the heat and puree (not until completely smooth) with an immersion blender until the soup has thickened a little, but still has some texture and chunks of vegetables. Return the soup to the heat and warm on low. Add the wine, garlic and chicken. Season to taste with salt and freshly ground pepper, then simmer for 15 minutes or so. To serve, stir a small amount of cream and cheese into each portion (if desired), then top with the sauteed kale.